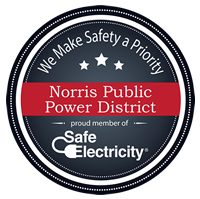 Norris Public Power District offers various EnergyWiseSM efficiency incentive programs to customers who wish to become more energy efficient as well as to help offset energy costs. Rebate incentives are available to any Norris Public Power District customer and are issued in the form of a credit on the customer’s monthly electric bill. Please note that projects must be installed and operational during the corresponding rebate incentive year to be eligible for the programs offered. Other available EnergyWise Incentives include: Commercial HVAC, Industrial Process, Commercial/Industrial Variable Frequency Drive, HVAC System Optimization, and Agricultural Hog Mat. For more information on these incentives, contact Emily Shockley at 800-858-4707 or eshockley@norrispower.com.